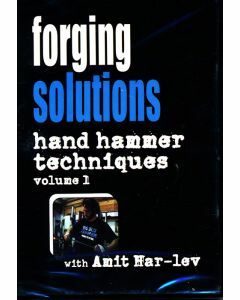 Hand hammer techniques gives an in-depth, up close look at Amit Har-lev's Hand Hammer forging style. Whether you are a beginner or have years of experience, Amit's accessibility and entertaining teaching style will give you new insights into the art and craft of blacksmithing. 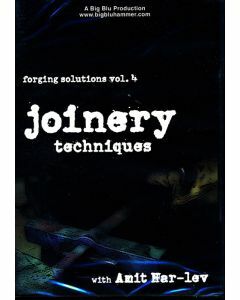 Forging decorative rivets....and much more! Total Run Time: 1hr.46 Min. with quick and easy menu access to all lessons. 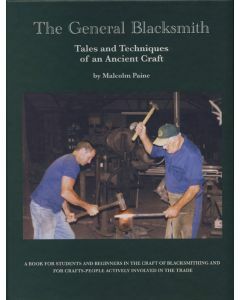 In The General Blacksmith: Tales and Techniques of an Ancient Craft, Malcolm Paine puts the methods that he learned and used repeatedly, in his 60 blacksmithing years, into a simple form, that aspiring blacksmiths can follow step by step, and one that can still be of interest to the more experienced ironworker. Paine presents a clear text and drawings for any blacksmith to follow. 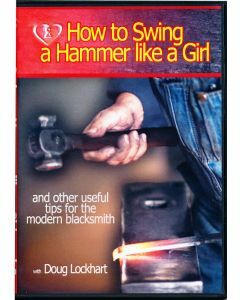 A prefect book for beginners to get started and improving blacksmith to reach new levels in their craft. 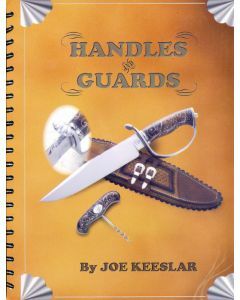 The primary purpose of "Handles and Guards" by joe Keeslar is to provide students of handles and guards with guidelines for completing the forged knife. Theoritically the blade is completely finished before moving on to the handle and guard. Every knife you make should reflect the very best work that you can do at that point in time. joe received his Journeyman Smith rating in 1987 and Master Smith rating in 1989. He is a frequent Instructor at the William F Moran School of Bladesmithing, serves on the Board of Directors of the association since 1989 and was Chairman of the ABS from June 2003 through June 2007. 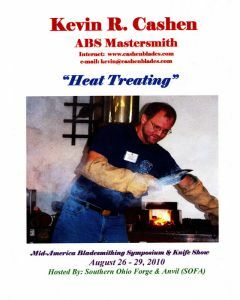 Heat Treating DVD Cashen, Kevin R.
American Bladesmith Society's, Mastersmith, Kevin R. Cashen presents us with valuable information on "Heat Treating." 7. Metallurgy Concepts "Chalk Talk"
Hooks, Rings and Other Things Barnes, Frank T.
An illustrated dictionary for collectors, students, curators, dealers and the just plain curious. The ultimate 'Whatsit?' book. 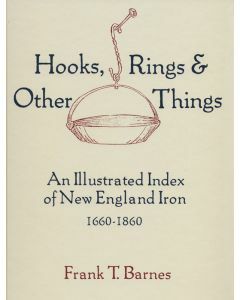 Iron artifacts, which chronicled day-to-day living in early New England, have been brought together for the first time in this remarkable book. 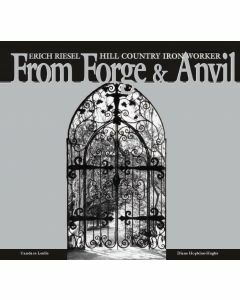 Delightfully illustrated and described, including their history, these antique iron pieces are documented and explained is how and why each piece was used.